When I was a freshman in college, terrorists high-jacked planes and flew them into The World Trade Center buildings in New York City. I was newly baptized and thus minted a new man, and newly immersed in the Christian subculture at Eastern University in St. David’s, PA. I was dismayed by my classmates response to what happened that first month of school. The drums of war beat me into the Bible. I poured through the New and Old Testament with a red ball point pen, underlining and exclamation pointing every call to peacemaking and justice I could find (and there are sooo many). Every amateur just war theologian in my Philosophy class inspired me to get the facts. I was building an argument, sharpening my spear, shouting a lot. I don’t hate the zealotry of that young man in the early aughts. I learned the Bible well. I fell in love with it as my guide for life. 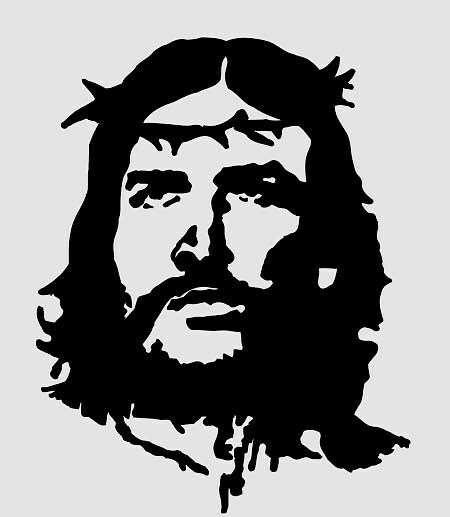 Though I often painted Jesus as more Che of Nazareth, I was relating to him and wrestling with how to follow him with my whole life. The struggle led me to Mexico for a year of service with the Mennonite Central Committee. The spiritual intensity of that year has not been rivaled in the decade and a half since, but when I read my journals my immaturity makes me squirm. Or it might just be how glaringly naive I was. I am, to this day, a big proponent of my own naivete. I’ve owned my unswerving optimism as a strength even when it requires more resilience when my big hopes are often dashed. The intervening years of struggle and failure (AKA life) give me a much more nuanced perspective on almost everything. But what I learned in a tiny church on the edge of giant Mexico City holds true. Jesus was a revolutionary and his weapon was love. My sojourn in Mexico resulted in, among many other things, my sense of calling to lead the Church. I went knowing that I was a leader, but I was leaning toward leading the nonviolent political revolution that would bring about a new age of peace and justice. I came back from Mexico knowing that the transformation of the world would come person by person, heart by heart. I saw the violence of my own political zealotry as a supposed peacemaker and wanted more for myself. I wanted more for the world. I still do. The drums of war keep beating. The news from Syria this week is deadening. We need more for ourselves. The “red line” of chemical weapons is such a low bar. I feel beaten back and discouraged. Those underlined red verses are coming back to me. The Bible that made me a Jesus follower is still a real comfort to me. The promises of peace, of life beyond death, of grace are new again. They are new every time I need them; and I need them every time I read the news. THIS is the world we live in. It hasn’t changed much in my entire adult life (which I know is relatively short). Anything better than this will only be slightly better in the hands of those in power. So I invest in a kingdom that is not of this world. I show the powers that there is a greater power. Some are beating their chests to police the world. Jesus was beaten and killed to save the world. And then God beat back death! The American state won’t save me, only Jesus will. May the drums of war keep beating back to this peace. May you find refuge in THIS promise. Would you like to join us? I have a few spots in my car. Email me, comment, or sign up here, to be sent to the powers to show them who we are in Christ and that his kingdom is not of this world.